Prominent freight company Aurizon is set to call 900 Ann St, Fortitude Valley home after Consolidated Properties Group (CPG) secured a major lease pre-commitment for its landmark development, which will have the heritage-listed Holy Trinity Church precinct at its heart. The 19,000 sqm transaction for the 15-level tower is the largest pre-commitment lease that has been signed in Queensland since 2013 and the second biggest in Australia this year, following the announcement that global networking site LinkedIn was taking a 25,000sqm space in Melbourne. Listed property group Charter Hall introduced by JLL, has acquired the building for approximately $170 million, representing a 6.5% yield on a pre-sale and fund through basis, with CPG remaining as developerThe deal was concluded this week. Construction will commence in March 2016 and finish in April 2018. CPG’s Managing Director Retail & Commercial Kieran Cox said it was unusual for a pre-sale deal of this magnitude to be put together in just four weeks and the arrangement was only possible because of the long-standing relationships between the parties involved. CPG secured a 110-year lease for the site, situated within the Holy Trinity Church precinct from the Anglican Church, and it will be developed as an urban oasis in the middle of Fortitude Valley. The long-term future of the church will be secured by the tower development, which will be designed by leading architect John Wardle. 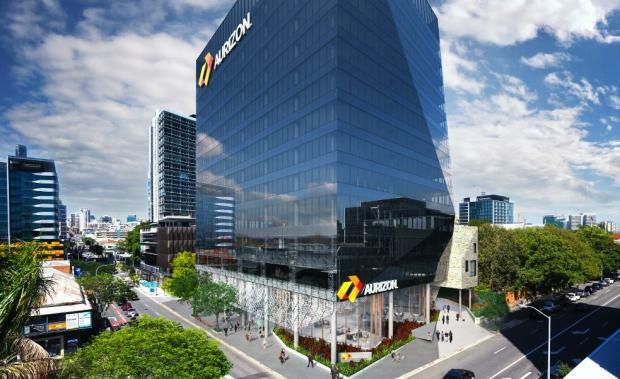 Mr Cox said the recent transaction was an extension of the relationships which existed between CPG, as the developer, Aurizon as the tenant, Hutchinson as the builder and Charter Hall as the financier and owner. “In many ways the transaction is a natural evolution of existing relationships between us. Aurizon is currently tenanted in a Charter Hall owned building at 175 Eagle Street. This building, which has now become CPG’s new headquarters, was originally developed by us and built by Hutchinson Builders,” he said. “Hutchinson Builders have also delivered the BOQ tenanted 100 Skyring project at Newstead for Charter Hall. Mr Cox said he believed the key to the success of the transaction was CPG’s ability to broker a transaction which was a win-win for all parties while minimising their risk. “For the landholders, the Anglican Church, it provided an enduring capital base for the heritage-listed, Holy Trinity Church to sustain itself into the future. “For the tenant, Aurizon, the deal provided an opportunity to secure their long-term property requirements, while leveraging its blue-chip status in the current market to maximise incentives and a tenancy which delivers them their own modern bespoke building. “Risks for Charter Hall as the building owner and financier have also been minimised given the building has been pre-leased to a blue-chip tenant."